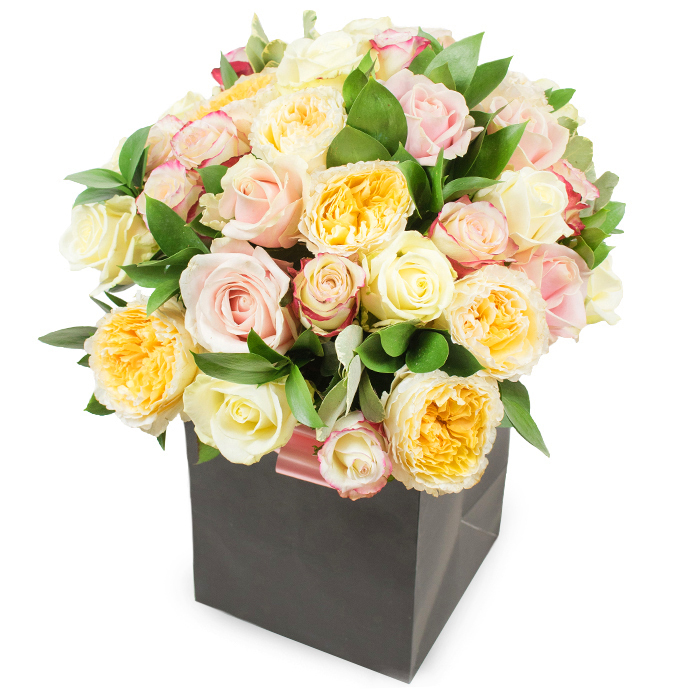 This beautiful and fancy bouquet can make the perfect gift for anyone that loves roses! 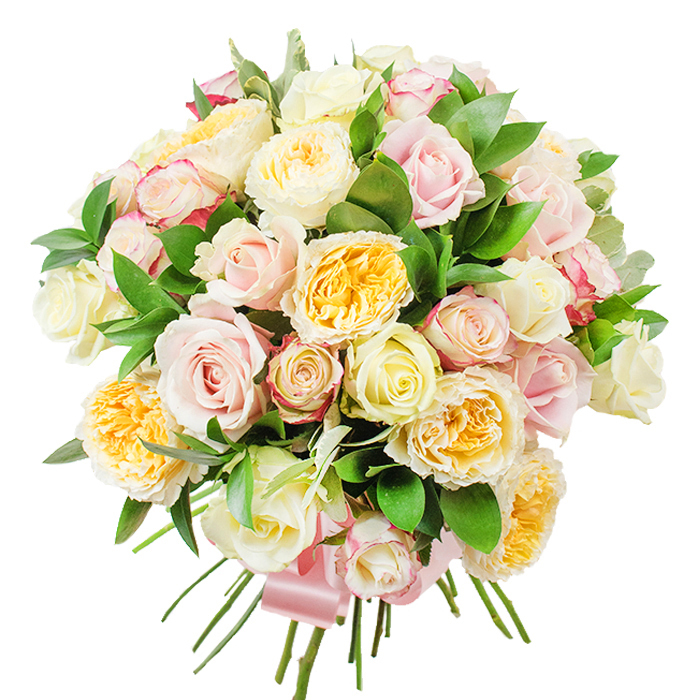 An elegant combination of white roses, cream garden roses and light pink roses that will make your special one feel loved and cherished! The most beautiful flowers just turned up, so thank you to whoever designed them, they are gorgeous! I couldn't be happier with the flowers I got. The arrangement was magnificent and the delivery was on time. The colors, the size, the aroma, everything was breathtaking! What can I say - the delivery guy came on time and delivered the most amazing flowers! Truly fantastic service!! Very classy design. The bouquet is exactly what I had in mind when calling to make the order. Only good things to say about the company. They are reliable and very easy to deal with. The flowers were heavenly beautiful! This bouquet got my attention the moment I saw it!!! Wonderful job!!! Really enjoyed the whole experience I had with Handy Flowers. They were very nice on the phone and arranged the delivery of this wonderful bouquet very professionally. Don't hesitate and call them, you will definitely be treated as a friend! The design was one of a kind! Royalty was just what I needed for my girlfriend’s birthday! My wife was speechless when she saw the bouquet I ordered for our anniversary from this flower shop. Thanks for helping me surprise her on such an important day!